Home→Piano Lessons: What to Expect→Sign Up for Your FREE Private Piano Lesson Today! The only cost to you will be to have the appropriate Piano Lesson Book. If you already have books from a previous teacher, I will be glad to use those. 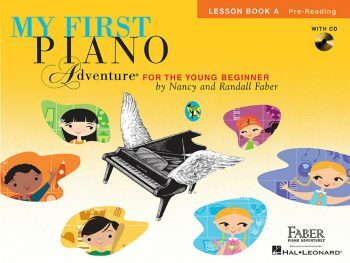 Children (ages 5 and 6): Faber’s My First Piano Adventure® captures the child’s playful spirit. Fun-filled songs, rhythm games and technique activities develop beginning keyboard skills. 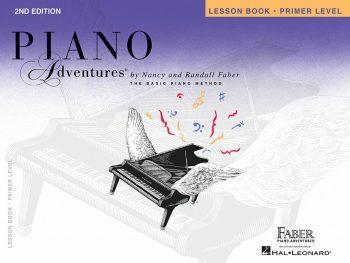 Children (ages 7 to 11): start with the Faber Piano Adventures Primer Level. This is the first of a series of eight levels that provides the core of your child’s study. 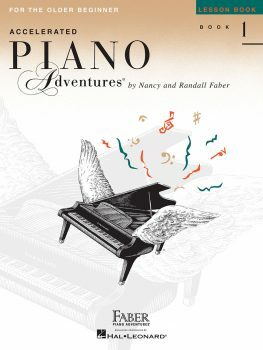 Pre-teens and teens (ages 11 and up): will use the Accelerated Piano Adventures. In pacing and appeal, the books are ideal for the middle school beginner. Adults: use the Adult Piano Adventures “All-In-One” books, a comprehensive introduction to music notation, chord playing, rhythm, harmony, and musical form—all through engaging music. 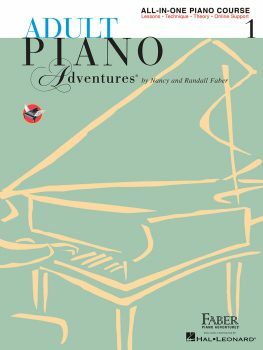 Most of the Faber Piano Adventures piano lesson books that I use are readily available at most local music stores. I look forward to hearing from you soon to schedule your FREE piano lesson.